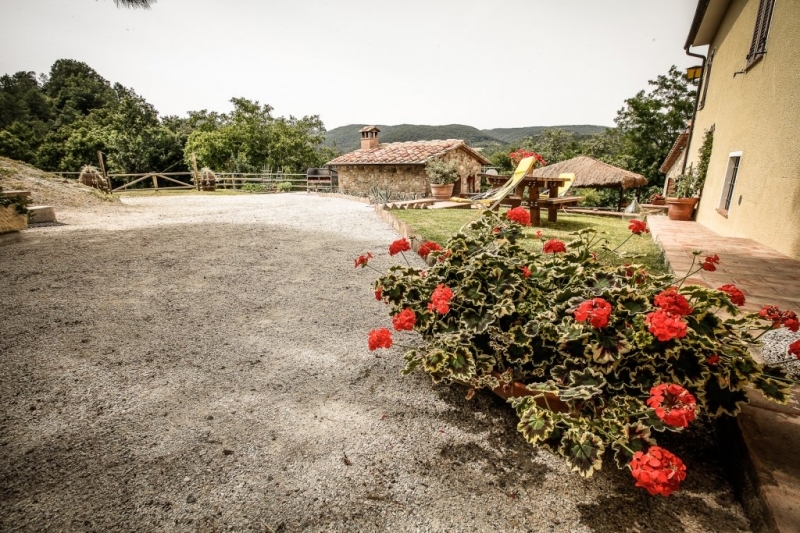 Farmhouse among Pisane hills and precisely in Chianni municipality, a picturesque village only 45 minutes drive from Pisa International airport, 40 minutes from Tirrenica Coast. 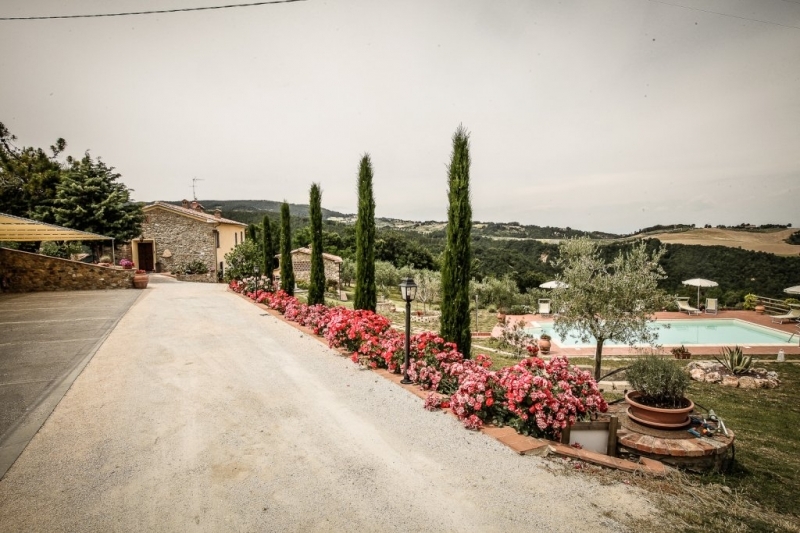 The property is easily accessible from a paved road, only 4 km from the village and the amenities. 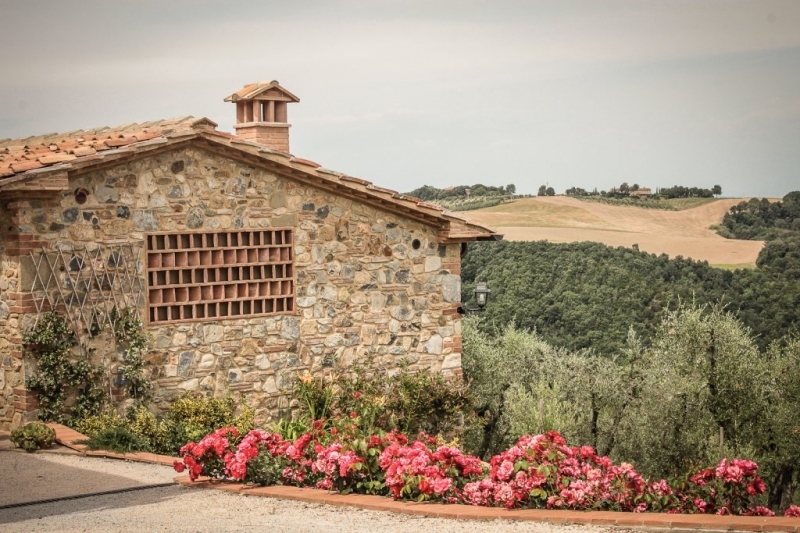 In Chianni it is possible to find all necessary services such as bank, post office, chemist’shop grocery, bakery, butcher and so on. 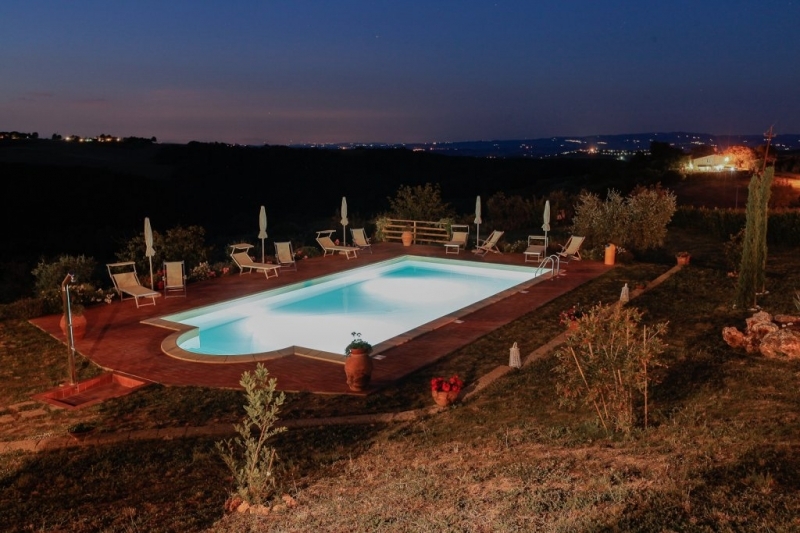 The property consists of a main farmhouse, 2 outbuildings within 38000 sqm of land. 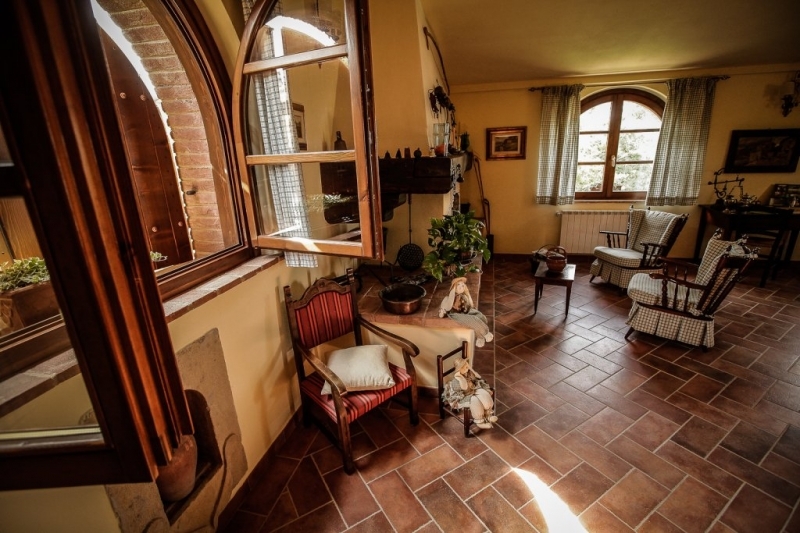 The two storey farmhouse is 300 Sqm and it has been completely renovated according to the typical Tuscan style with terracotta floors, beame d ceilings, apparent stones on the walls.. and it’s an ideal property both as a primary residency or to be run as B&B. 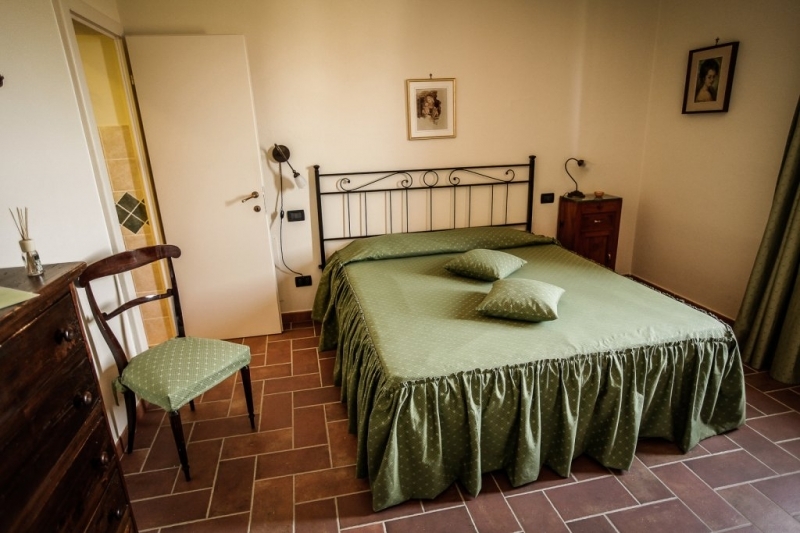 The current owner is renting the bedrooms. 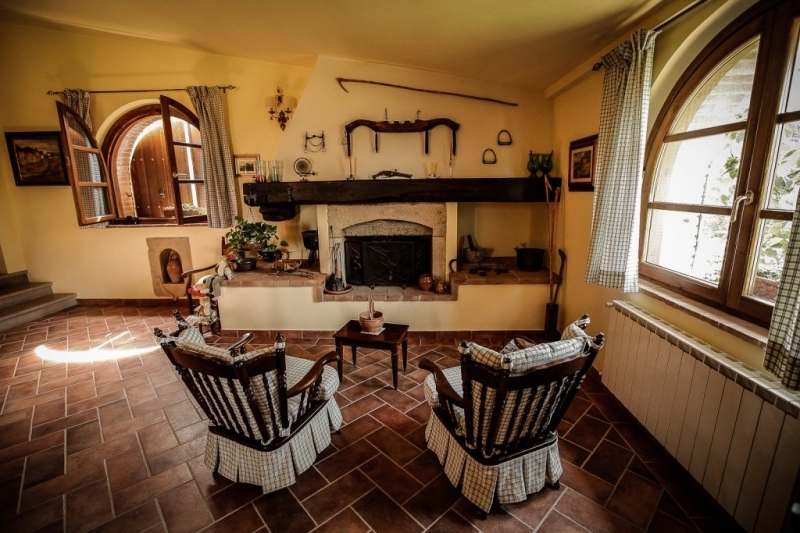 The main building on the ground floor comprises: a wide lounge with fireplace, the guests breakfast and dining area, a fully equipped kitchen, laundry-pantry and 2 bedrooms with en-suite bathroom. 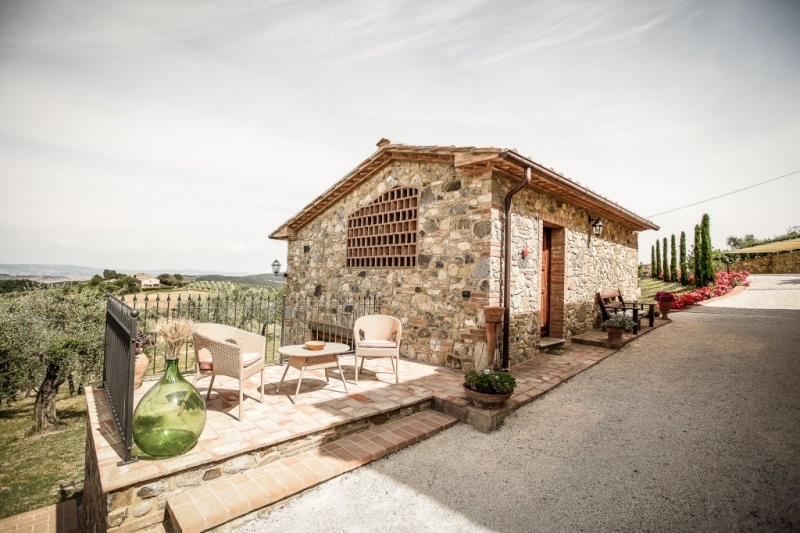 An internal staircase leads to the first floor which is composed of additional 5 bedrooms with en-suite bathroom, a box-room with bed-linen and towels. 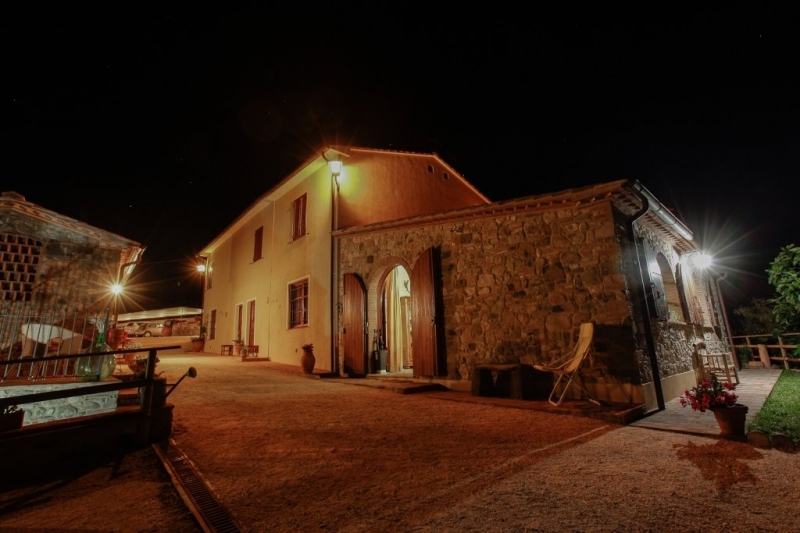 All systems are perfectly working with LPG heating.Next to the main building there is a typical wood burning pizza oven ( 10 sqm ) , an outdoor kitchen which is normally used by the guests during their holidays ( 15 sqm ) to have meals outside and a two storey guesthouse (35 sqm) : in the basement there is a garage (20 sqm) area and on the ground floor another bedroom with bathroom. The sale includes 38000 sqm. 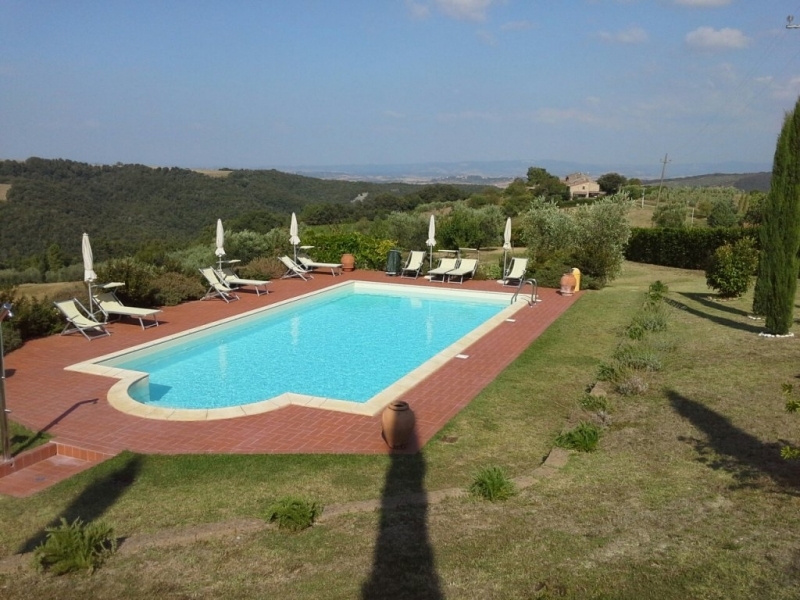 of land with several fruit trees, olive groove, swimming pool with solarium and equipment room. 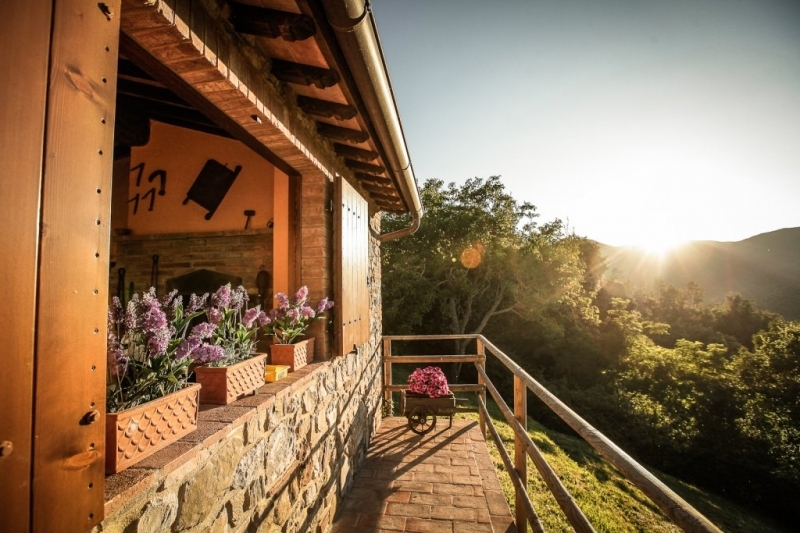 From the property it is possible to admire a stunning panoramic view across the surrounding countryside and it is possible to enjoy absolute privacy and intimacy despite the presence of other houses in the neighbourhood.